Hello everyone! Welcome back for the 3-D Challenge #7 at Cardz TV! 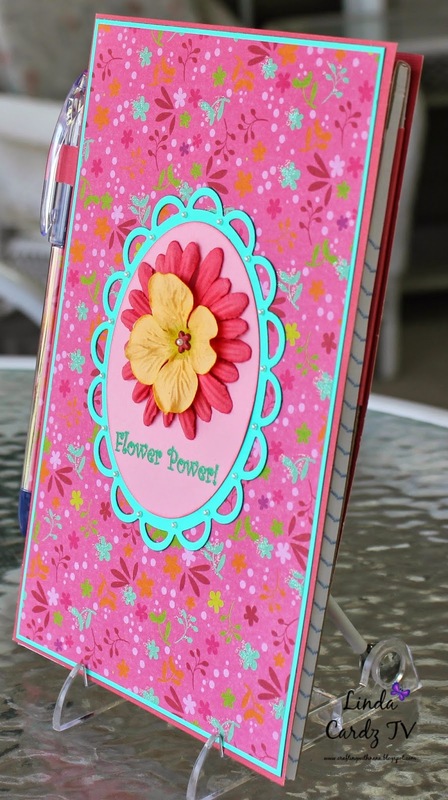 This week’s challenge is to create a 3-D project using flowers. This is a perfect time for this challenge because all the spring time flowers are now in bloom. 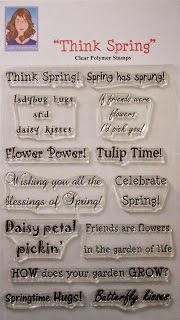 I used the Cardz TV stamp set "Think Spring". To purchase this stamp set, plus many others, click here. 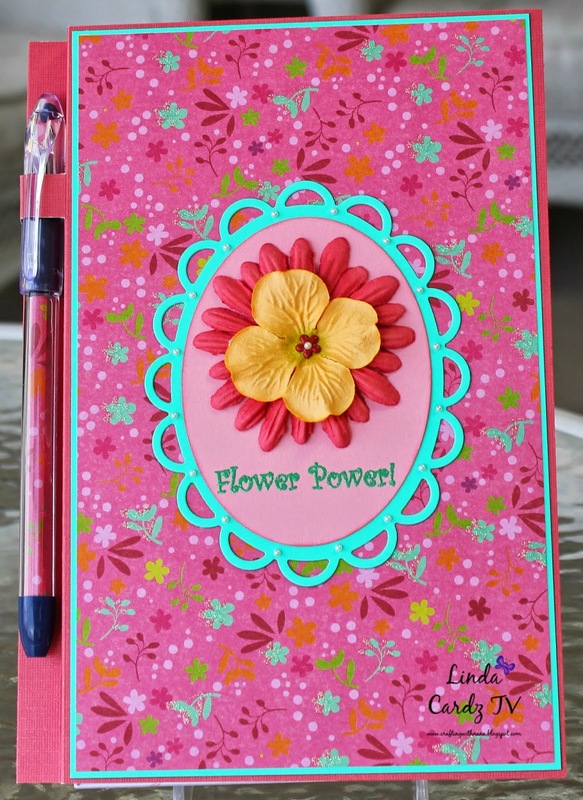 For my project I stamped the sentiment "Flower Power". I created a note pad cover for a junior legal pad with matching pen and added a little pocket inside. I heat embossed the sentiment onto an oval die cut on my Cricut Explore and backed it with a lacy oval die from Spellbinder. 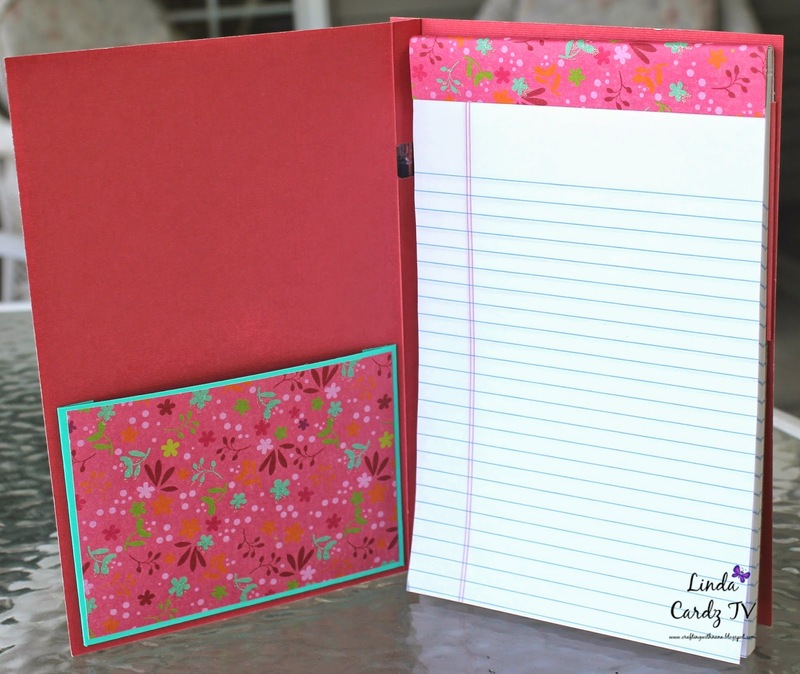 I love the colors in the patterned paper, they are so bright and cheery. 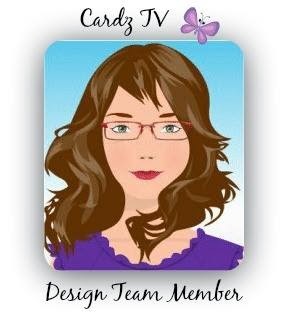 Please be sure to stop by Cardz TV and see all the wonderful design team projects and to enter your 3-D Project Using Flowers for a chance to win one of Mary's Cardz TV stamp sets. You have until noon EST, Thursday, April 30th, 2015 to enter. The winner will be chosen by random.org. I look forward to seeing all of your creations! 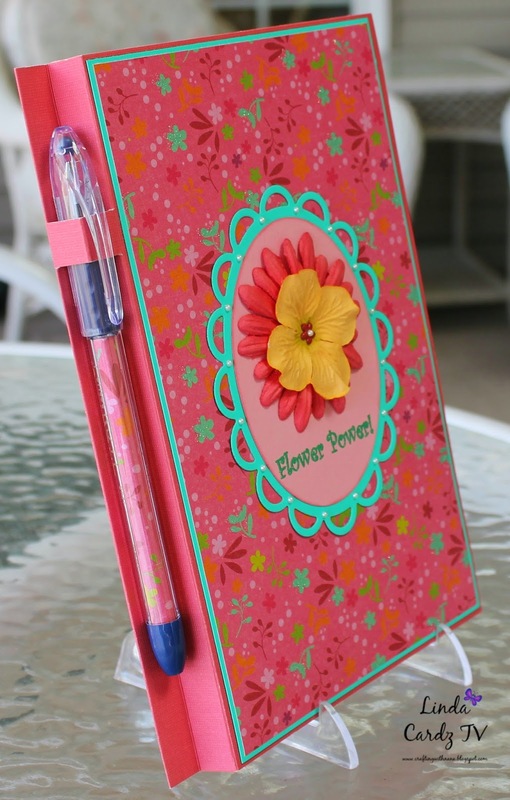 Stamps: Cardz TV "Think Spring"
Thanks so much for stopping by my blog!! Linda, your project turned out awesome! I love the bright papers you used. Thanks so much for sharing. Great idea, it looks fantastic! And yes the colors are great!